Consumables are temporary stat boosts in Anthem. You can spend them before you go on a mission, and they’ll boost select stats during that mission. You can equip up to three later on, but you start with just one slot. You can find the consumables lying around, but you can also craft them yourself. 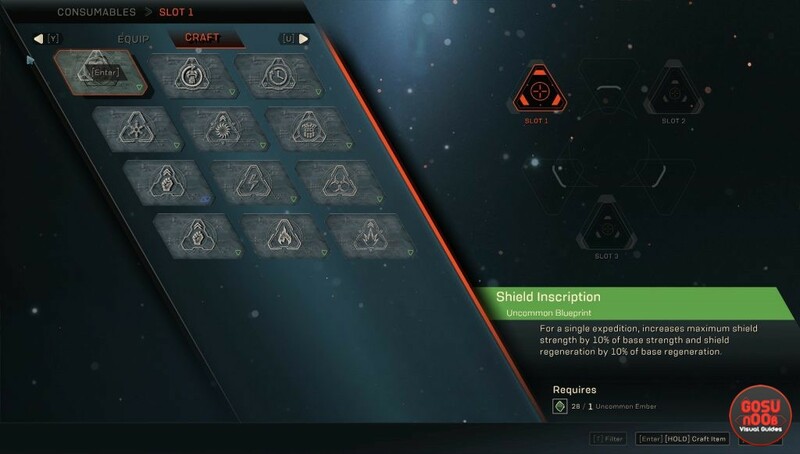 This guide is going to show you how to craft consumables in Anthem. In order to craft consumables, you should interact with your javelin at Fort Tarsis. This leads to the expedition screen. Scroll to the right (U on PC, right bumper on console) to the consumables tab. There will be two sections here – one for equipping, one for crafting. When you get to the crafting one, you’ll see all the available blueprints. Pick one, and if you have the uncommon embers, you’ll be allowed to create it.